KOM Consultants represents University of Sydney which offers a graduate entry Dental School program in Australia. Applicants must hold an undergraduate degree in any discipline with at least one semester course in Human Biology. 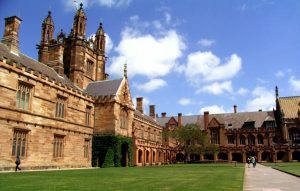 The University of Sydney was the first to be established in Australia and after almost 150 years of proud achievement it still leads in innovation and quality. Future dentists can access the National Dental Examining Board of Canada (NDEB), as well as the Canadian Information Centre for International Credentials. All students interested in Dentistry programs should contact KOM Consultants for full details on requirements and application process.